I have always considered myself an active person. However, that being said, I like to cook and I like to eat as well. 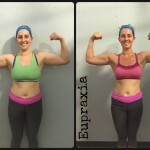 I first joined Eupraxia in 2011 and both my husband and I had amazing results, followed the diet and felt great! Then I got pregnant. Surprisingly, I stayed more active than I thought I would, and worked out up until I was 7 months pregnant, and only gained 17lbs my entire pregnancy! My labor and delivery went smooth and I attribute most of that to my level of fitness and that time. 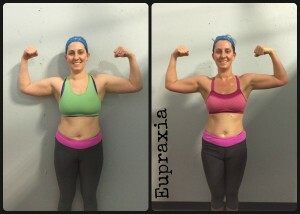 Bounced back into shape with Eupraxia and good eating habits right away. 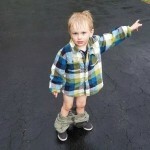 Then…almost immediately…I got pregnant again! WHOA, not quite what we had planned, but we were excited. This pregnancy was so different for me because I had an infant at home, a full time job, and what felt like NO time and NO energy. I stopped going to Eupraxia. About a year ago, my husband noticed my lack of energy, increased moodiness, and overall unhappiness with my level of health at that time. He encouraged me to go back to Eupraxia, especially since there was a new one so close to us in West Salem! 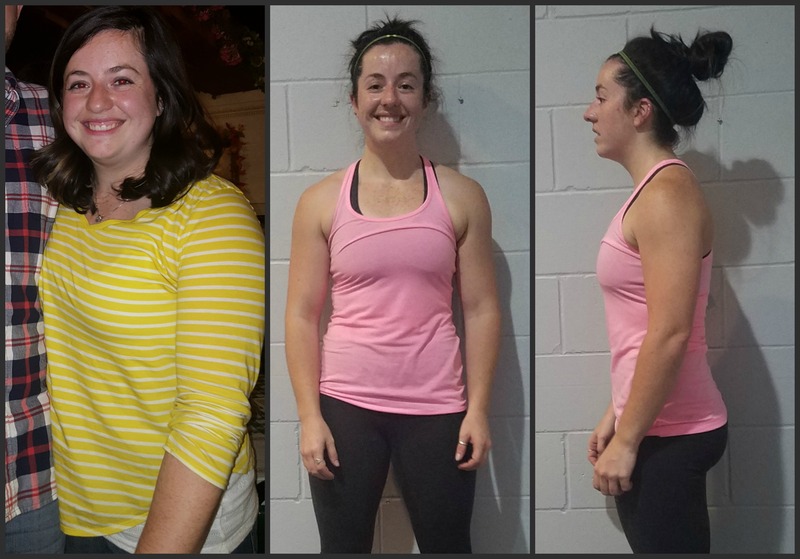 I did, and we made a serious commitment to eating better not just to lose weight, but as a lifestyle. He made time for me to make it to class by cooking dinner and getting the kids fed. I truly owe a huge part of my success to him and his support. I now feel amazing, have more energy daily, and overall feel more balanced. The physical results are great, but the mental part is so important too, especially when I am stressed with work, kids, chores, ect. The gym is my escape, and I love it. Thanks to Eupraxia, my trainers, and support from fellow members!